As a knockout year for SaaS industry expansion, 2018 set the stage for 2019 to continue growing at a fast rate. This coming year will be all about the fundamentals of SaaS. While the industry will continue to expand at impressive rates in 2019, investors, operators and founders alike should expect a year focused on getting back to basics: integration of acquired teams, a focus on product as an avenue for growth, and no shortage of SaaS IPOs. Here are the four main ways 2019 will continue on the trend of accelerated growth in SaaS. new businesses. The expansion of SaaS to offline channels (i.e. PoS software) is also opening up new and lucrative markets in 2019 and beyond. Due to the ability to achieve higher flexibility and efficiency from both a technical and financial standpoint, companies are increasingly adopting SaaS solutions in operations and management. 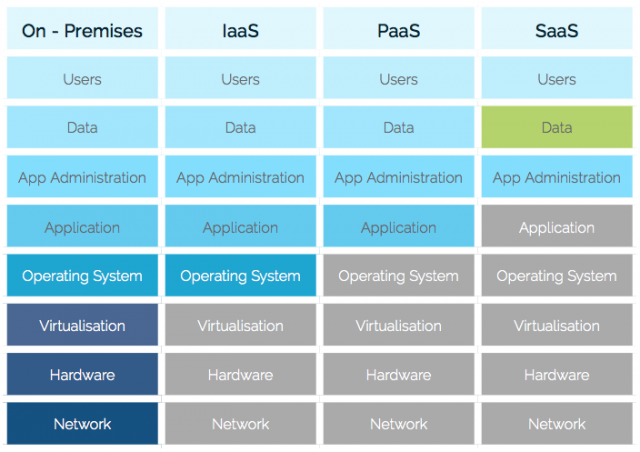 Gartner predicts 90% of organizations utilizing public cloud infrastructure as a Service (IaaS) and Platform as a Service (PaaS) separately will move to working with integrated, full-service providers by 2022. AWS’s recent launch of DocumentDB is one of many examples of companies making it easier to use one service or platform for multiple operations. The cost synergies available in more integration will drive businesses to seek streamlined cloud services in business operations. A customer-centric approach from SaaS providers will lead to higher customer success and ultimately, better retention rates. Stock market conditions in 2019 remain uncertain, and with operators unsure of whether the opportunity to list on public markets will remain attractive in the second half of the year, expect the beginning of 2019 to see a rush to IPO to capitalize on currently favorable conditions, especially given the proven success of 2018’s SaaS IPOs. As OpenView Partners reports: “The basket of IPOs has been successful to boot, collectively representing $38.2B in enterprise value upon IPO (3.5x the figure for all of 2017). This lies in stark contrast with consumer tech, which has seen relatively few IPOs – not to mention poor results for several that have recently gone public (think Blue Apron (NYSE: APRN), Snap (NYSE: SNAP)).” We are already seeing this come to fruition with the likes of Uber, Slack and Palantir, among others, which have all made motions towards 2019 IPOs, and Lyft, which made its market debut in March of this year. OpenView reports that companies which implement product-led growth strategies grow at faster rates and generate higher gross margins. SaaS businesses will increasingly adopt this strategy in 2019 as the focus on growth shifts towards the quality of the underlying product. Allowing the product to speak for itself has emerged as a trend in high-performing companies. A product-oriented focus will be especially useful for SaaS businesses that offer a free trial, as it will help convert satisfied users into paying customers, as well as generate strong word of mouth referrals. Ismael is an Editor at SaaS Mag and CEO of FE International, the leading M&A advisory firm for online businesses. Ismael has overseen the sale of hundreds of millions in online businesses, including the sale of the popular accounting software, Less Accounting, and the acquisition of Drip by Leadpages. He is also an active investor in SaaS businesses, sits on the board of numerous exciting SaaS start-ups, including MageMail and MRR Media and is and a member of the Forbes Finance Council. Ismael’s previous background was in large-cap M&A investment banking, where he executed several high profile public deals namely in the Technology sector.